"The beatification of Louis and Zelie Martin," the press dossier of the Tourism Office at Lisieux, translated into English by Greg and Betsy Kilbrai for "Saint Therese of Lisieux: A Gateway." Exhaustive information, with photos, about the beatification celebrations in Alencon and Lisieux; the presiding Cardinal, Jose Saraiva Martins; the lives of Zelie and Louis; the history of their cause for sainthood; the healing of Pietro Schiliro, the miracle certified by the Pope for their beatification; the historic exhibit of their belongings at Lisieux. Who were Zelie Guerin and Louis Martin? 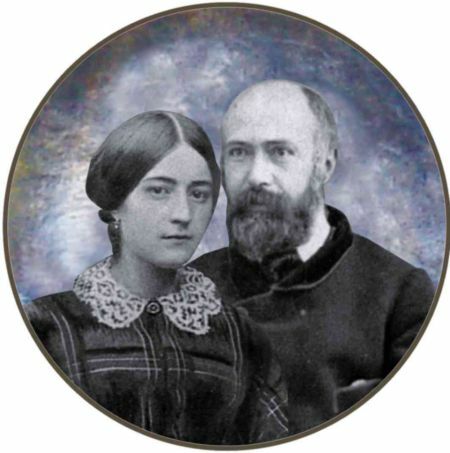 "Louis and Zelie Martin: A Marriage of Love," by Guy Gaucher, O.C.D., auxiliary bishop emeritus of Bayeux and Lisieux and leading scholar of St. Therese. With thanks to Feu et Lumiere. The celebrations of the 150th wedding anniversary of Louis and Zelie Martin July 12-13, 2008, at which the beatification was announced, with photos and text of the Cardinal's conference "The Martin Couple: A Path of Sanctity That Imparted Faith" and homily "The Human Charm of Christian Sanctity"
"Blessed Zelie Guerin and Louis Martin: Companions on our Journey," by Maureen O'Riordan. Why has the Church named these spouses "blessed?" What difference do their lives make to us? How can they accompany us on our pilgrimage? A recently discovered photo of Zelie Martin several years before her death.